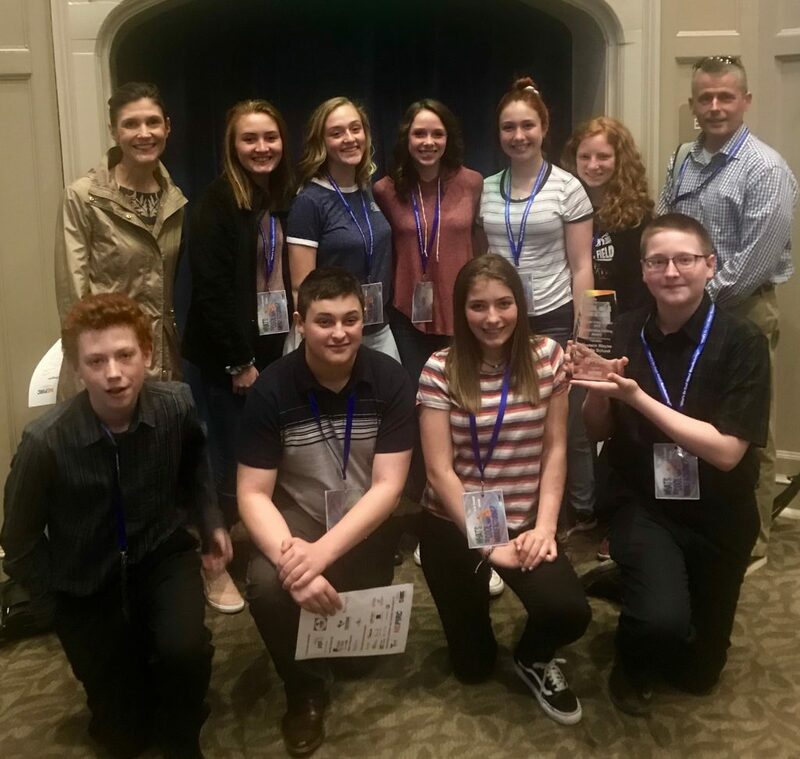 Western Wayne Middle School students are part of a unique learning experience for a second time. Created by the Manufacturers Resource Center (MRC) in Allentown, PA in 2013, the “What’s So cool About Manufacturing?” contests draw entries from more than 200 teams across Pennsylvania. The teams of students and teacher coaches receive camera equipment, software, and professional guidance as they learn to script, record, and edit their video stories of what it’s like to work in the manufacturing industry. Students learn about the manufacturing career field and complete their projects at various local manufacturing businesses. The contest’s objective is to change students’ perceptions about manufacturing careers by sending them to local places where manufacturing is done to complete their submissions for “What’s So Cool About Manufacturing?”. The “What’s So Cool About Manufacturing?” contests are supported regionally by their sponsors and partners. The 2019 “What’s So Cool About Manufacturing?” Contest for Northeast PA is produced by the Northeastern Pennsylvania Industrial Resource Center in Hanover Township, PA. Participating schools are from Lackawanna, Luzerne, Monroe, Pike, and Wayne counties. 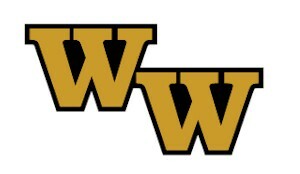 Western Wayne is one of eleven schools participating in the Northeast PA Contest. 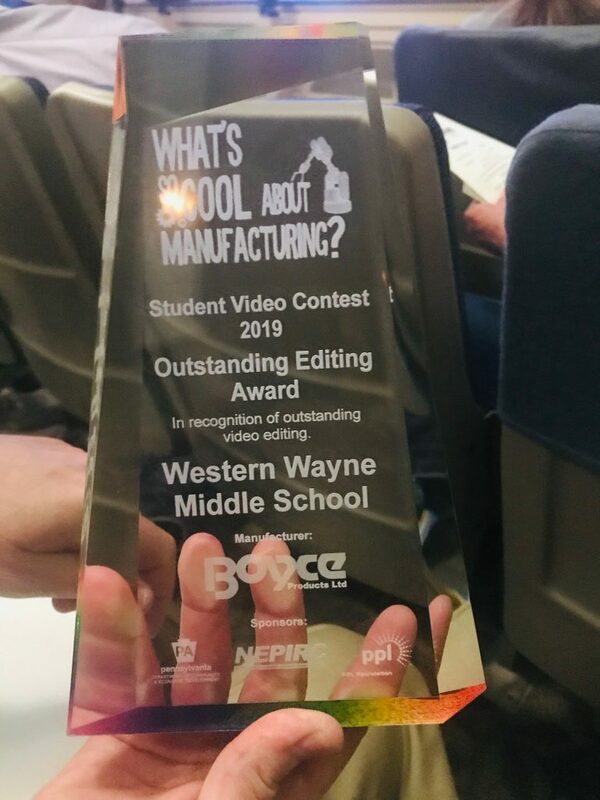 For the second year, Western Wayne Middle School students had the opportunity to explore Boyce Products Ltd., a manufacturing facility located in Damascus, for their project. This winter the students toured Boyce to learn about the manufacturing career field and gather information for their submission.